As a Hearing Protection Manufacturer, we as a company are always speaking about Hearing Loss Prevention in the workplace. However, there are also Best Practices for developing a culture of hearing conservation, both at work and at home. 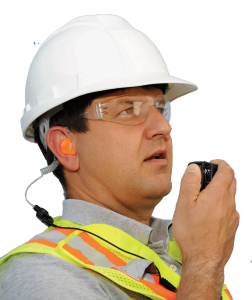 Since OSHA had implemented detailed noise exposure regulations (29 CFR 1910.95), employers and safety professionals have monitored noise levels, posted warning signs, purchased earplugs and routinely tested employees’ hearing. Other activities consisted of training programs for new employees, putting up posters and selected groups to be a part of the product buying process. Although these activities are conducted to prevent hearing loss, workers are still continuing to suffer noise-induced hearing loss at alarming rates. The cost of noise-induced hearing loss in the United States is now measured in billions (not millions) of dollars annually. Setting up the actual Hearing Loss Prevention plan is easy; the difficult task is getting workers to buy in and engage in the program. In addition, loud noises are not just limited to the workplace. Noise-induced hearing loss can be just as prevalent off the job as on the job, and exposure outside the workplace is often a lot less noticeable. Beyond employee adherence to safety rules, there are ways to utilize other controls for reducing noise exposure that will impact the worker on and off the job. Hold informative workshops on the importance of Hearing Loss Prevention on and off the job. Some of these suggestions may be more feasible at your work site than others, so take advantage of those that you can logistically implement. Encourage employee participation in this process as well, because they tend to have the greatest exposure to noise, and thus may have insights for improving hearing protection. Many incidents of hearing loss from occupational noise exposure are preventable, and because completely eliminating the noise at work is often not an option, companies must take every measure possible to minimize its effects.